I am so excited in joining this group. 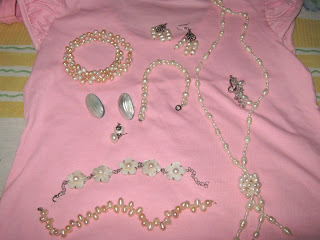 For this week topic, I would like to share with you my everyday accessories, i do love pearls, i have some of them and they are now growing, here are some of my pearls accessories. I do hope i can have that very special, precious pearl someday. 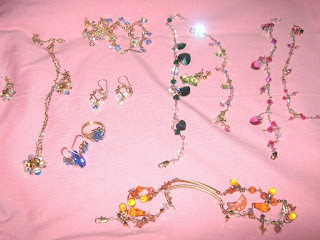 I also started making Swarovski crystal accessories, i have made matching bracelet for me and my Peachy. My next project is a matching necklace. naku mommy, hobby lang po sya, not for sale pa as of the moment , he he he, thank you so much and i am so thrilled to know more blogger moms like me. many thanks again.